Being a musical genius is hard. Not in the, “Oh, I’m a musical genius, I’m so oppressed, pity me” sense, but rather in the sense that one must live up to the expectations one has created. This is of course not a problem limited to the realm of music; all artists must ultimately struggle with it. If an artist has released material before, their new work is inevitably, and necessarily, put into a particular context. One must walk a tightrope, hoping to live up to the high standards that have been established. 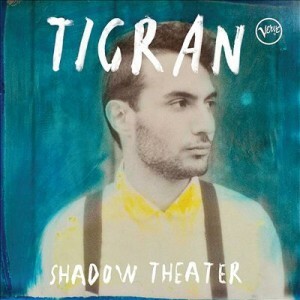 Tigran Hamasyan, as an indisputable musical genius (at age 18, he won first place in both piano and composition in the Thelonious Monk International Jazz Competition), doubtless understands this plight. He is one the few artists who can boast about having created a truly original style, seamlessly combining jazz, Armenian traditional music, progressive rock, and math metal. The musician’s August 2013 album Shadow Theater was an absolute masterpiece, and was all the more raved as such. In my view, it was likely the best album of the year. The flip side to this, nonetheless, is that, for better or worse, Hamasyan will now have to spend the rest of his career trying to live up to this album. Mockroot, released in February 2015, had big shoes to fill. If anyone else made it, it would be instantly hailed as a masterpiece. The individual tracks are, for the most part—excluding perhaps the minimalist “Kars 2 (Wounds of the Centuries)”—great compositions. After the creative burst of “Song for Melan and Rafik,” however, no tracks necessarily stand out until the end. “The Grid” and “Out of The Grid,” which close the album are, in my view, the strongest. Here we hear a kind of dissonant, post-modern, Armenian-infused post-bop, followed by angular djent-like jazz. One wishes that the tracks had been toward the beginning of the album, where they would have been heard earlier. As a whole, the album does tend a bit toward the repetitive. The alternation between and heavy breakdown-like jazz-metal sections, with serpentine bass lines, as amazing as it is, becomes rather blasé after a while—a testament to the fact that sometimes it is indeed possible to have too much of a good thing. One comes to expect what one will hear: heavy, rock-like additive meter riffs in unison in left-hand piano octaves and bass guitar; female vocal lines using non-lexical vocables and heavy Armenian-style ornamentation, sometimes doubled by sparkling heavily adorned right-hand piano or saxophone; and moto-perpetuo modal keyboard arpeggiations. 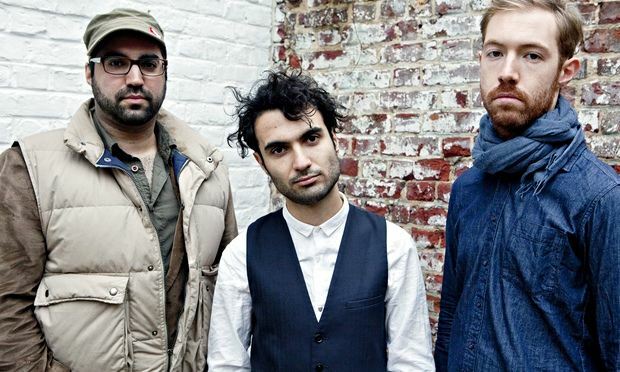 Hamasyan’s riff-based approach to jazz is unique. Formally, his music is more similar to rock bands than it is to straight-ahead jazz. This is often refreshing, yet it can get a bit stale. The constant repetition of these riffs does get a bit static. The breakdown-like sections of “Kars 1” and “Entertain Me” sound like they could have been penned by Meshuggah. While tracks like “Double-Faced” and “Entertain Me” give the listener the heavy, gritty jazz equivalent of Meshuggah, they end rather abruptly. The sectionalized riff-based nature of the tunes only goes so far. It sometimes leaves the audience hoping for more thematic unity, by which to make sense of the musical form. Before djent sold out, the determining attribute of the style was, in spite of the insistence of some to the contrary, not a low-sustain onomatopoeic 7- or 8-string guitar tone, but rather the superimposition of irregular time signatures over common time (4/4). In these regards, Mockroot is a jazz-djent album. Jazz metal band Ever Forthright, in somewhat of a tongue-in-cheek manner, coined the term “djazz” to refer to their combination of djent and jazz. While Ever Forthright leans more toward the former, Mockroot leans a bit more toward the latter. Both artists, in my view, should be held as the leaders of the djazz style. For the rhythmically inclined, there is no dearth of metrical and temporal complexity in Mockroot. Personally speaking, I find this to be the most brilliant aspect of Hamasyan’s music, and it really does shine here. Arthur Hnatek’s drum work is remarkable, yet, in its simplicity, it lacks the flair Nate Wood brought to Shadow Theater. (In his defense, he is playing incredibly difficult music, rhythmically speaking.) “The Grid” and the middle section of “To Negate”—which also happen to stand as my favorite parts of the album—are the most lively moments. Here, the driving 16th-note and eighth-note pulses in the drums make the songs. This is about as flashy as the percussion gets. The half-note tactus that dominates many of the tracks drags the momentum of the album down a bit—a firm testament to the fact that, just as too many breakdowns in metal quickly get old, so do too many breakdowns in jazz. Mockroot does have something many albums lack today: varied textures. At the root, if you will, of the album is the piano-bass-drums trio, yet this basic ensemble is often supplemented with female vocals, electronics, saxophone, and more. 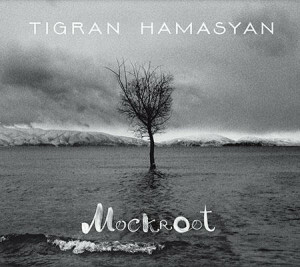 This said, it lacks the strong melodies that dominate Hamasyan’s earlier releases. There is certainly no shortage of tasty creative riffs, but, halfway through the album, you cannot help but ask yourself where are the melodies went. The album is somewhat heavy on ballads. “To Love,” the intro, is beautiful, but there is not much there of musical interest. 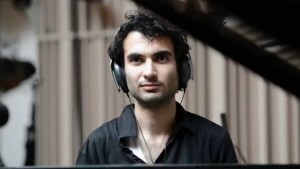 “The Roads That Bring Me Closer to You,” another ballad—and a rare track that features European art music-style vocal style, rather than the straight-tone technique Hamasyan tends to prefer—also leaves much to be desired. The pianist’s composition “Holy,” on Shadow Theater, is a much more interesting—and gorgeous—ballad, with more varied textures and harmonies, and a masterful use of suspensions and resolutions, to balance the consonance and dissonance that is so necessary for dynamic music-making. “The Apple Orchard in Saghmosavanq,” perhaps the least conventional ballad, might be more accurately described as Armenian-infused post-rock. One of the more simple compositions on the album, it may go somewhere in terms of texture and dynamics, but not much in terms of harmony or thematic development. The only solo piano composition on the album, “Lilac,” is also a bit humdrum. The pace of the album overall is slowed by these several tracks. For those seeking a laid-back set of songs, Mockroot may be the album for you. For those seeking forward-looking jazz fusion, it may not be a bad idea to press the next button. In short, Mockroot is masterful, albeit a tad bit repetitive. In spite of some undeveloped factors, it is indeed a very solid work of artistic brilliance, even if it is condemned to be compared to Shadow Theater. If any other musician made it, it would surely be a masterpiece. Mockroot remains a great album and is worth listening to—and replaying—many times, even if you have to skip a few tracks.